Family Business United is delighted to announce the family firms that are in contention for the Welsh Family Business of the Year Award 2018. The deliberations are over and the team at Family Business United are delighted to announce the family firms shortlisted for the Welsh Family Business Of The Year 2018 Award. "Any one of those shortlisted would make worthy winners and ambassadors for the sector. We are looking forward to finding out more about each of them and I am sure that the decisions to determine the winner will not be easy. 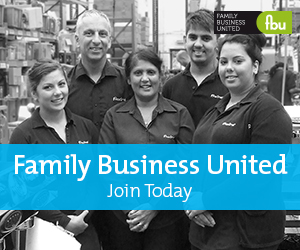 We are looking for a great family business ambassador to fly the flag for family businesses in Wales." Previous winners of the Welsh Family Business of the Year include S.A. Brain & Co. Ltd and Leekes Limited.